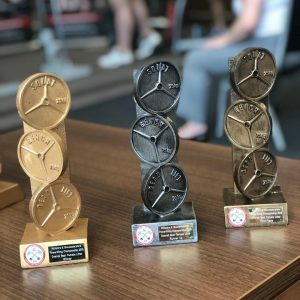 Swindon Barbell hosted the inaugural Wiltshire and Gloucestershire championships on the 21st July. 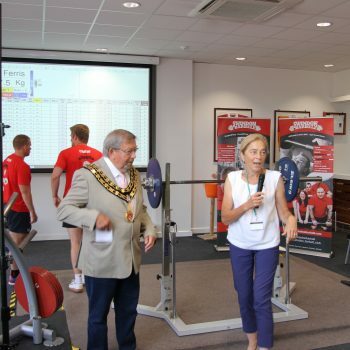 The event was opened by Mayor Michael Farrow and Cllr Allison Bucknell, who both spoke about the work Swindon Barbell has been doing within the local community to improve health, strength and fitness of all ages. The competition took place in Wootton Bassett Rugby Club which provided everything that could be needed for such a successful event. The air-conditioned lifting platform with large windows that looked out onto the rugby field helped the lifters stay cool under pressure, the delicious food cooked fresh kept hunger at bay, and the large projector screen showing the scoresheet and an animated MC, gave guidance to spectators on what was happening throughout the competition. The huge amount of involvement from local businesses created a real sense of community spirit, DC Injury Clinic was providing treatment for competitors and spectators alike, with BB Supplements handing out free goodie bags to all in attendance and providing free samples of their products for everyone to try. Lime Kiln donated a free 14-day guest pass as a raffle prize along with the rugby club itself donating a RWB ball, the Ganges restaurant a £20 gift voucher and Swindon Barbell donated a free training session. The T-shirts were designed my local graphics designer Sheppard Animations. 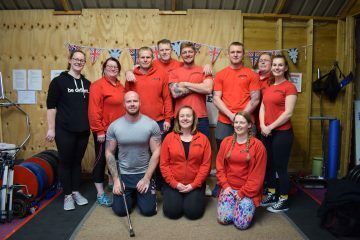 This all fed into a buzzing and electric atmosphere which was created by a huge staffing team of volunteers from Swindon Barbell, British Powerlifting and some from the Help for Heroes Invictus Games Powerlifting team. Each volunteer worked tirelessly throughout the day to ensure the competition ran smoothly so that the lifters had only 1 thing to concentrate on: lifting that weight. Much of the shouting was in support of Swindon Barbell’s members Kat Armstrong, Fenella Powell, Dawn Morrell, Daniel Coles and Alex Knox who were competing that day. 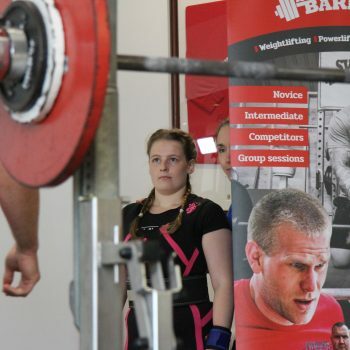 Kat Armstrong, business development manager for Swindon Barbell, and Daniel Coles, the club’s Anti-Doping Officer, were stepping up on to the big stage for the first time since starting powerlifting only within the last year. Fenella Powell and Dawn Morrell, who are both experienced British Powerlifting competitors, were taking the platform to test out some things they’d been working on in training which clearly worked very well for them whilst Alex Knox set his sights on national qualification and achieved it. Each person walked away from the competition with between one and four personal bests and several of them managing to qualify for the nationals at the end of this year. The competition saw incredible feats of strength from Swindon Barbell lifters but also from people across the south west smashing regional records. These included Indiana Montaque setting a -72kg body weight ladies Deadlift record of 181kgs, Adam Ferret setting the -83kgs men’s Deadlift record of 275kgs, Nicholas Mellor hitting 302.5k in the squat for the 120+kg men’s category and Joseph Guis-Bourne finishing off the competition with a new South West deadlift record of 300k in the 120+kg men’s category. The screaming in support from the audience set RWB rugby club alight each and every time a lifter was attempting a personal best or a new South West record which, no doubt, helped drive that bar up. “Swindon Barbell have done a great job in organising this event, a large amount of lifters and a huge team of volunteers as well as the involvement from the local community such as the Mayor and Cllr Bucknell opening the event and expressing to the spectators all that Swindon Barbell do to raise the profile of strength and fitness training locally making the competition a great success”. 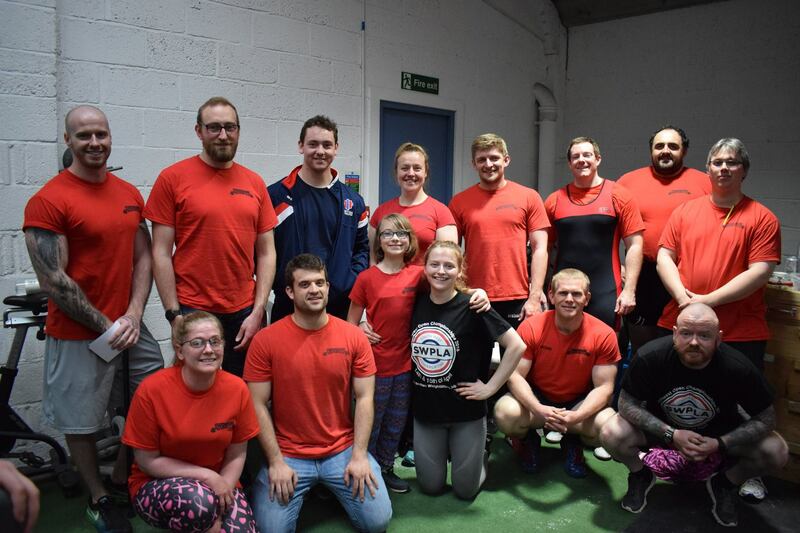 Alan Lowe, of RWB RFC, “It has been a pleasure to be able support Swindon Barbell with their inaugural Wilts & Gloucester Championship event and Charlie and her team are doing some fantastic work in the community in and around Royal Wootton Bassett developing athletes. To see another high level sporting activity taking place at Ballards Ash was fantastic and we hope to continue to support and work with Swindon Barbell Club in the future. Our new gym facility which is due for completion in 2019 should provide another opportunity to closely work together and we are looking forward to Charlie being able to work with our players from across the club”. Swindon Barbell are far from resting following such as successful event for they have many exciting ventures coming. 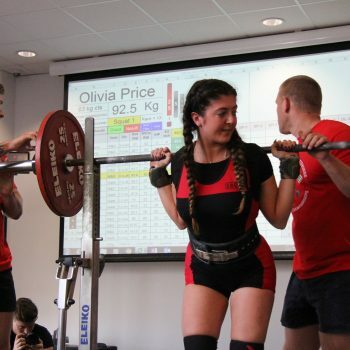 July 29 sees Emily-Jane Sheppard and Joe Humphrey, both from the club, competing with the South West team at the English Powerlifting inter-divisional championships where Charlie Shotton-Gale will be coaching the team and Helen Toms refereeing. 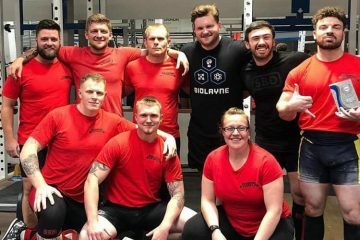 Head Coach, Charlie Shotton-Gale, continues in her coaching role of the Invictus games Powerlifting team preparing them for the games in October as well as her continued work for Help For Heroes supporting injured military personnel using Powerlifting as a tool for rehabilitation and health improvements. 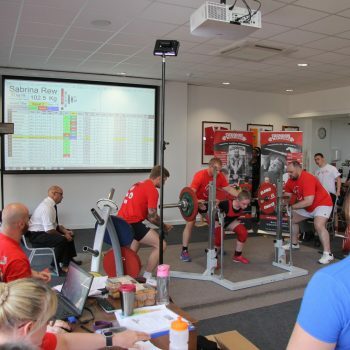 The start of the new academic year will see Swindon Barbell continuing the existing schools Powerlifting clubs with institutions such as Royal Wootton Bassett Academy and New College Swindon as well as being part of Swindon Colleges freshers fair and starting a new schools club with Hardenuish College in Chippenham. With the ever-increasing membership, it is a perfect time to visit Swindon Barbell and be part of a club that develops physical and mental strength alike.